A captivating, varied recital sung by a leading soprano of our time. 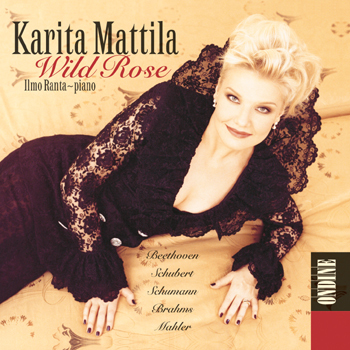 This CD features Finnish soprano Karita Mattila with German art songs from the Classical and Romantic periods. Included are famous Lieder by Beethoven, Schubert, Schumann and Brahms, in addition to early songs with piano by Mahler. Karita Mattila is partnered on piano by Ilmo Ranta.